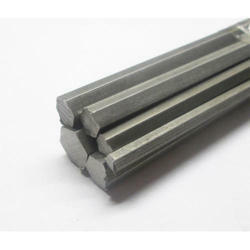 We export a wide gamut of Free Cutting Steel which is widely used in various industries. They are manufactured from high grade material in compliance with the international standards, ensuring long working life. Our qualitative range rarely requires maintenance for years and provides hassle free working. These Free Cutting & Spring steel equipment are obtainable at most competitive prices. 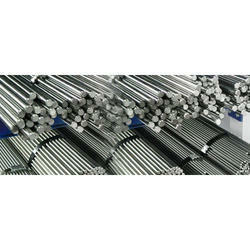 Steels in which specific additions, the most common being S and Pb, have been made in order to improve their machinability. We produce high quality free cutting steel bright bars supplied primarily by our collaborator Saarstahl AG, to the most stringent standards required for hydraulic and CRDI applications. To gain improved machinability, Bismuth(BI), Tellurium(Te), and Selenium(Se) free cutting steels from Saarstahl AG can be supplied. Arkkays National Engineering & Foundry Co.
Leveraging on our industry experience, we offer a gamut of cutting bar in various grades. These products are offered in tempered and annealed conditions, depending on the choice of client. With its unique chemistry and micro structure, and very high inherent machinability it is used in high speed automats for higher productivity and, good surface finish of component and enhanced tool life. Hindustan Steel & Engineering Co.